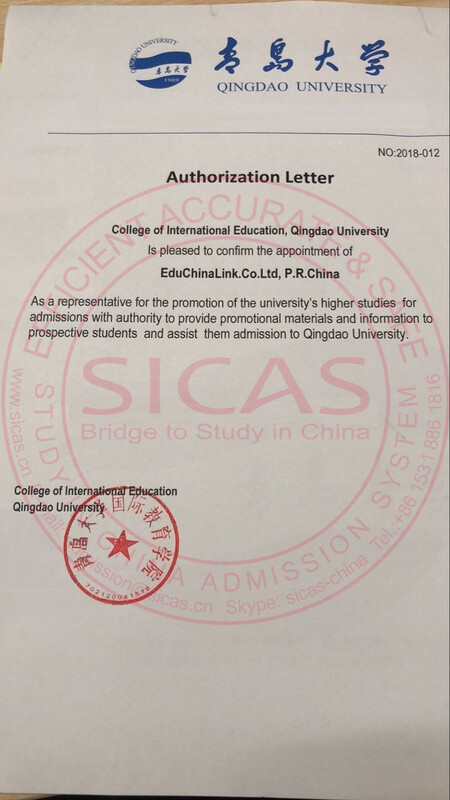 Qingdao University is recognized by WHO and the graduates of MBBS program are eligible to take the Medical Licensing Examinations held by the medical councils in different countries such as MCI, PMDC, USMLE, HPCSA, SCHS etc. Qingdao University first started to accept the Clinical Medicine (MBBS) program international student in 2006. It is one of 30 universities qualified by the State Education Commission to accept Clinical Medicine (MBBS) international students using English as a medium program. Now there are about 120 international students studying Clinical Medicine (MBBS) Program at Qingdao University. Most of them come from India. Clinical Medicine (MBBS) education is mainly taught at the Medical College of Qingdao University. Biochemistry, Anatomy, immunology, biochemistry experiment, Immunology experiment, Physiology, Infectious Disease, Obstetrics and Gynecology, Internal Medicine, Surgery Practice, Medical Chinese, Infectious Disease Practice etc. On completing the requirements of the teaching program and passing the graduation examinations successfully, international medical undergraduates will be granted a graduation certificate and conferred a medical degree by QDU, if they meet the degree regulations of QDU. The English copy of the degree will state MBBS (Bachelor of Medicine and Bachelor of Surgery). QDU highly recommends international students to do the internship in China. However, if students want to do the internship in other country, QDU need to do an qualification evaluation on the hospital which student choose. And, students have to take the final examination on Theory Test and Clinical Evaluation in QDU. Qingdao University Medical College is one of the colleges accredited to grant Master’s degrees by the State Council. 1. Applicants should provide academic transcripts from high school and any higher education institutions they have attended. Your average scores should be higher than 80% and every subject should be higher than 60%. Or top 50% of NEET (for Indian Applicants). 2. Applicants should be more than 18 years old and in a healthy physical condition. 3. Applicants should have strong English Language skills. Applicants from non-English speaking countries should provide records of their English learning from primary and secondary school or a certificate of English proficiency from a standardized English test. 4. Applicants must guarantee that they will comply with the Chinese Constitution, the laws of China and all school rules while in China. Applicants should have financial support, as well as guarantors for their stay in China Students must guarantee that they will purchase medical insurance during their study period in China.